Whilst browsing at a street fair a few weeks ago, I bought a beautiful antique magnifying glass. It was certainly not something I was in the market for (unless I am subconsciously trying to channel a French detective), but the reason I was so drawn to it was its intricate mother of pearl handle. I love its iridescent quality… it’s so timeless and elegant. 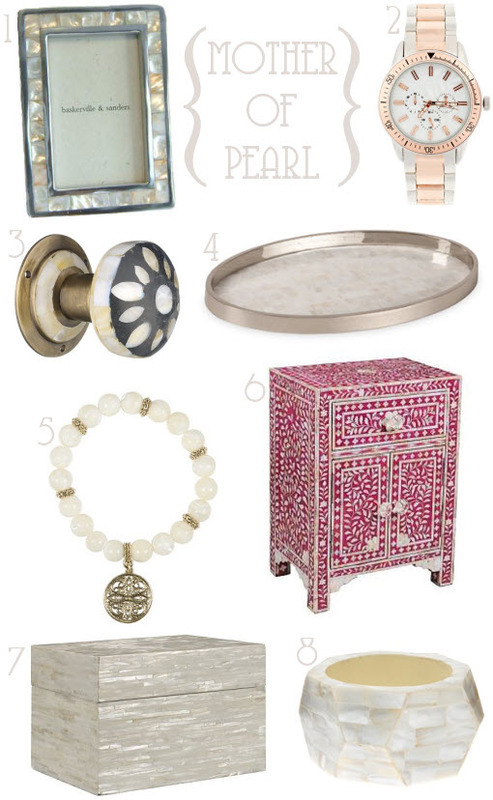 Here is a selection of other shimmery items that I would love to add to my ‘it’s-mother-of-pearl-and-therefore-I-must-have-it’ collection. Catchy. I love that door knob..